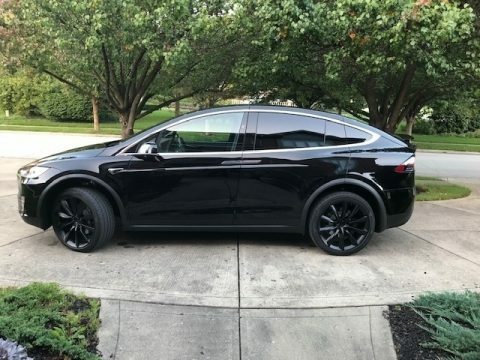 2018 Tesla Model X 100 Performance for sale in Monticello, KY 46033 This Tesla X 100 is powered by an all-electric engine, paired with a single speed Transmission. There is only 1,850 Original miles on this Tesla. This beauty is shown in Black, has been garage kept and is non-smoking. Features: Sunroof Alarm Bluetooth Autopilot Keyless Entry Keyless Start Remote Start Leather Interior Backup Camera Heated and Cooled Seats AM/FM/CD/DVD Player with Screens Tesla Home Charging Handle Weather Tech Performance Package Hardware for Self-Drive when it comes out Please call (402)502-8385 for more information. ATTENTION BUYERS *Caveat Emptor* Please Remember to Inspect Vehicle Prior To Purchase!